Experience the vibrancy and eclectic culture for which Melbourne is renowned with central accommodation near Melbourne CBD. Crowne Plaza Melbourne is ideally located on the Yarra River, only steps away from the restaurants and bars of the South Wharf precinct, CBD shopping, and South Melbourne with its popular cafes and markets. A variety of dining and entertainment is on your doorstep with the Crown Casino and Entertainment Complex located less then 300m away. The hotel is also located close to trains and taxi ranks and is within the free-tram zone, making it easy for guests to travel around the city. 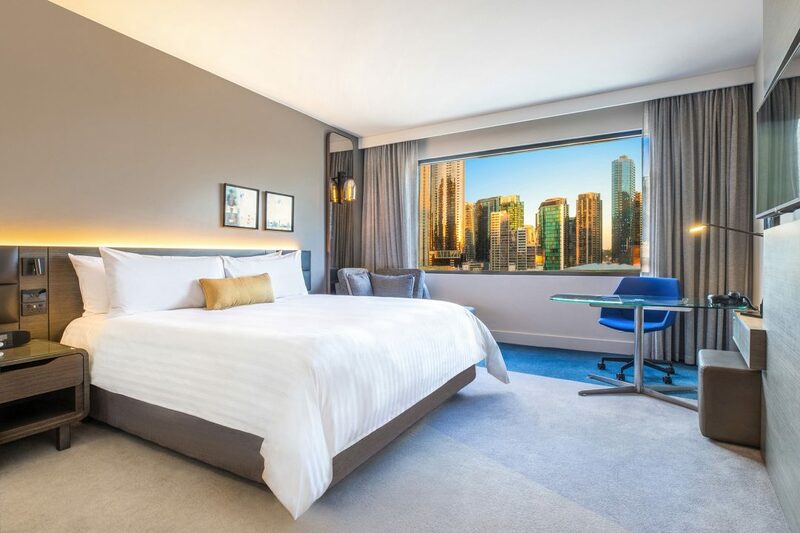 A good nights’ sleep is guaranteed in our comfortable range of rooms and suites, many overlooking Melbourne City Skyline, Port Philip Bay, Southwharf and the majestic Yarra River with famous landmarks such as Flinders St Station and the Crown Complex also visible from higher floors. Choose from our diverse range of accommodation packages, or consider the option of adjoining rooms and suites to suit families and larger travel parties. With a range of excellent facilities and renowned friendly service, Crowne Plaza Melbourne is the perfect place to stay and relax by Melbourne’s famous riverside. Stay in shape at the gym, use the heated outdoor swimming pool to do a few laps or catch up on business with complimentary internet and computer access in the corporate lounge. Our award-winning concierge staff are a treasure trove of local knowledge and are your ticket to discovering the city’s best spots and events. Guests of Crowne Plaza Melbourne also enjoy the benefits of IHG® Rewards Club, our complimentary loyalty program that offers members recognition, free internet and points on each stay to redeem for future stays, airline flights or merchandise. Standing out from the sea of high rises in Melbourne, the Crowne Plaza Melbourne’s curved shape gives a hint at the architectural features and sense of open space that will make your stay an experience to remember. Crowne Plaza Melbourne is ideally located on the Yarra River, only steps away from the restaurants and bars of the South Wharf precinct, CBD shopping, and South Melbourne with its popular cafes and markets. The hotel is also located close to trains and taxi ranks and is within the free-tram zone, making it easy for guests to travel around the city. We’re business as usual, mostly. We are transforming our guest rooms to give guests a space that is both energizing in design, but also promotes restoration. Work will take place from December 2017 – October 2018. We look forward to sharing our new look accommodation rooms with you in 2018. A good nights’ sleep is guaranteed in our comfortable range of rooms and suites, many overlooking South Melbourne, Port Melbourne and the Yarra River, with famous landmarks such as Flinders St Station and the Crown Complex also visible from higher floors. Choose from our diverse range of accommodation packages, or consider the option of adjoining rooms and suites to suit families and larger travel parties. With a range of excellent facilities and renowned friendly service, Crowne Plaza Melbourne is the perfect place to stay and relax by Melbourne’s famous riverside. Stay in shape at the gymnasium, use the heated outdoor swimming pool to do a few laps or catch up on business with complimentary internet and computer access in the corporate lounge. Our award-winning concierge staff is a treasure trove of local knowledge and is your ticket to discovering the city’s best spots and events. 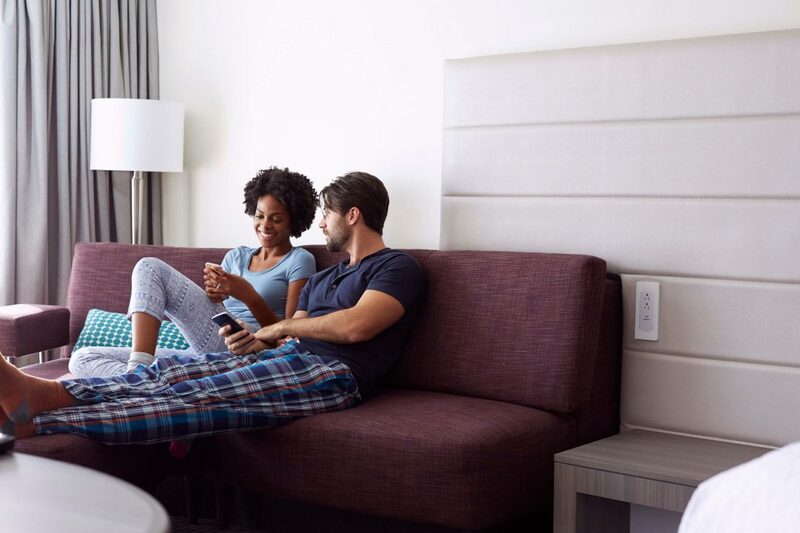 Guests of Crowne Plaza Melbourne also enjoy the benefits of IHG® Rewards Club, our complimentary loyalty program that offers members recognition, free internet and points on each stay to redeem for future stays, airline flights or merchandise. it doesn’t have to be a choice. Experience the comfort and convenience of accommodation in Melbourne. Our hotel rooms and suites are available in a number of configurations to suit every kind of traveller. Interconnecting rooms are also available; a convenient option for families or groups. Experience a great night’s sleep with our luxurious bedding and king sized beds, and wake up to some of the best views of Melbourne and Yarra River. 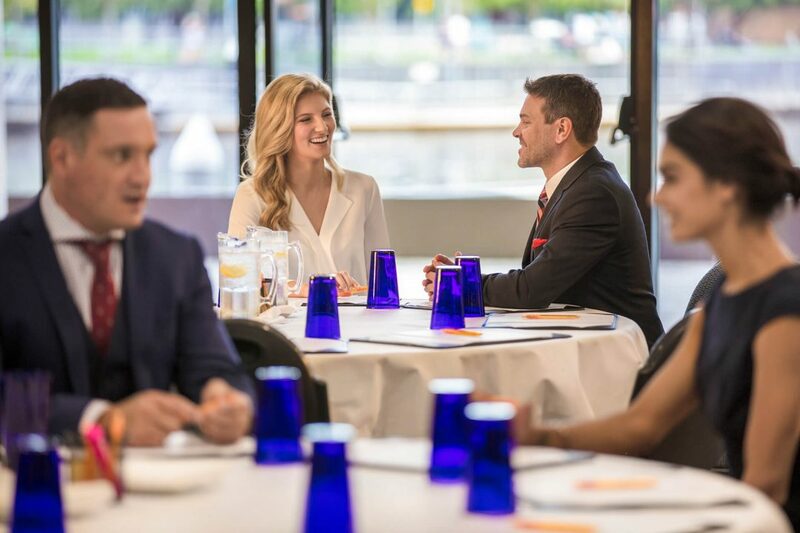 At Crowne Plaza Melbourne we offer 7 versatile and inspiring venues for productive meetings and events so that you have everything you need to make it a success. Our flexible meeting rooms can accommodate everything from small meetings to large conferences of up to 140 delegates. Our three river view rooms overlook the Yarra River and are flooded with natural light, providing a stimulating and productive meeting environment.